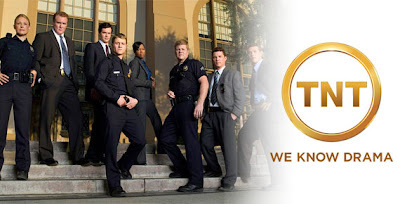 TNT has picked up the critically acclaimed series SOUTHLAND, closing a deal with Warner Bros. Television that landed the drama from Emmy -winning producer John Wells (ER, The West Wing) to the network this past January. TNT has obtained exclusive rights to air all six episodes that have been shot for the second season, as well as the seven episodes from the series’ first season. SOUTHLAND airs on TNT Tuesdays at 10 p.m. (ET/PT), the first episode of the series aired on Jan. 12. NEW never-before-seen premiere of Season 2, will air on March 2nd. In addition, if the SouthLAnd Facebook Fan page grows to 75,000 people by February 23rd, the stars will be doing a live chat with their fans on March 2nd!